My hypothesis was reinforced by hack comedians everywhere and even the Blues Brothers movie, where the song played ironically as the tension rose along with the elevator as the plot reached its climax. It was the musical equivalent of one of those processed snack cakes with 17 lines of ingredients on the label – briefly tasty perhaps, but ultimately artificial and bad for you in ways you couldn’t begin to imagine. A number of years later I worked at a division of a brand-name music company where people would dump music CDs (we called it “product”) in the halls outside of their offices when they got tired of them. I still have a huge CD collection made up of hipper people’s castoffs. 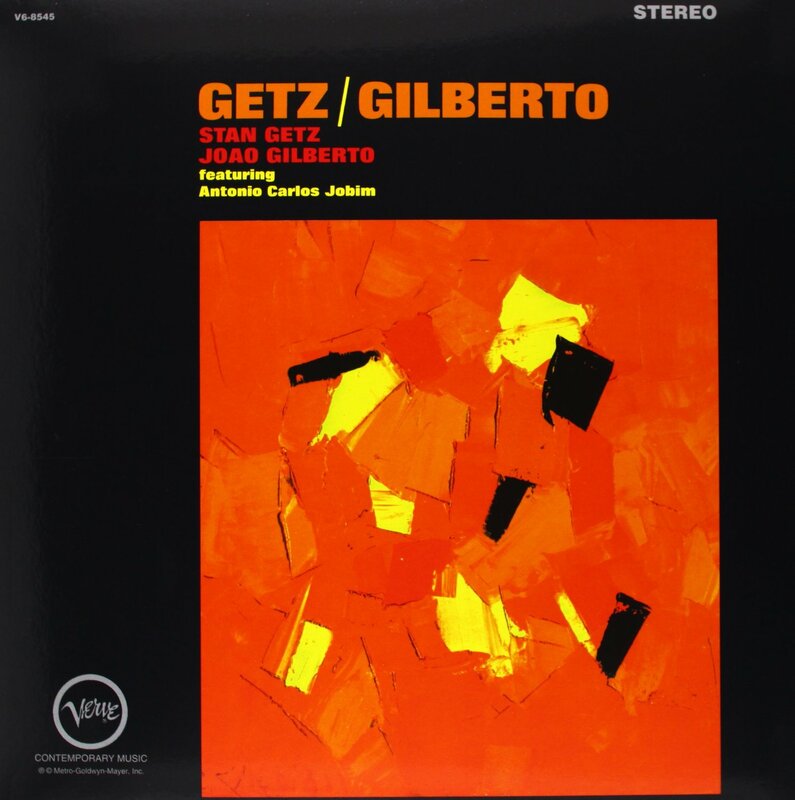 One day I picked up the album Getz| Gilberto in a cracked sleeve with liner notes missing and a “promotional use only” stamp on the disc itself. My significant other liked jazz so I figured I’d bring it home to earn some brownie points or something more desirable if you know what I mean. I stuffed it in my backpack and didn’t think about it until a few weeks later. One Saturday afternoon (and yes, I do remember the date, as I do for all of the other significant events in my life), the subject of jazz came up and I remembered the supposedly jazzy disc in my backpack. I quickly produced it like a magician pulling a coin from behind a youngster’s ear, “ta-da.” I slipped the disc into our magnificent Sony 5-disc changer and hit play. The first song was in Portuguese but something about it seemed eerily familiar. The male singer’s voice had the unmistakable baleful tone of unrequited love. It was accompanied by a single guitar and some stripped down percussion in the background. Then my world changed. A female voice joined the song. Even now it reminds me of the sound you make when blowing into a beer bottle – but it was astonishing. It was like nothing I had ever heard before. Then the words hit me. “Tall and tan and young and lovely…” My eyes started rolling back in my head and the room started spinning. It was like that shot you see in Spielberg movies where the camera zooms in while rolling back so the actor’s face remains stationary in the frame as the background disturbingly shifts perspective. Was everything I believed and held dear wrong? I wiped the spittle from the side my mouth and made my way carefully to the window and was calmed to see the sky was still blue. I looked at my watch and there were still 12 hours on the face, not 11 or 13. At that point I knew I’d be OK. I sat back down and listed as the singer finished and a saxophone solo started. Mother of God, it was perhaps the most exquisite song I had ever heard. It was infused with palpable human feeling, vibrantly alive and absolutely authentic. I wish I had just written that in all caps. We sat there and listened to every track while the day’s errands and task went undone. Enough about me. Now, I’ll share the amazing story of two girls: one named Astrud and one from Ipanema. Born in Bahia in 1940 to a Brazilian mother and German father. This was a few years before the influx of “bad-Germans” into Brazil, so I’m sure he was one of the good guys. She led an unremarkable life (at least according to Wikipedia). 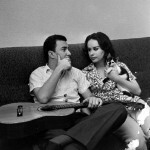 In 1959 she married singer and guitarist João Gilberto. In 1963 while her husband and Stan Getz were in the studio recording the Getz | Gilberto album (which I now know is considered by some to be the greatest jazz album ever…sorry Miles), she was hanging around watching as João and Stan melded samba and jazz to define Bossa Nova. Several of the tracks, including “The Girl” were written seminal Bossa Nova composer Antônio Carlos Jobim. During the recording session, for kicks and giggles the boys asked Astrud to sing on one of the songs. Not having ever sung professionally before, she at first demurred but was eventually convinced and ended up singing on “The Girl” and several other tracks on the album. And I think that’s the magic. Without the shackles of professional training and knowledge of musical conventions, she delivers an untutored performance infused with natural talent. She didn’t sing like a singer is supposed to: she sang from her heart – and it was incandescent. “The Girl from Ipanema” went on to win the Grammy for Record of the Year in 1965. It was a worldwide hit that reached #5 on the Billboard Hot 100 in the USA. More ominously, it reached #1 on the Easy Listening chart, starting the death-spiral of countless schlock covers that taken together equal a crime against humanity. And it led to my original scorn for the song. 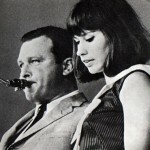 Astrud and João divorced in the mid-60s and she went on to a relationship with Stan Getz. Hmmm. She also went on to produce a totally unique sound on songs including “Fly Me to The Moon” (better than Sinatra’s), So Nice and a bunch with Portuguese titles. She stopped performing in 2002 and has been out of the news until recently when she was photographed wearing an old fur she had owned since the ‘60s. As you can guess, she was pounced on by the anti-fur crowd. She issued an obviously tearful statement of apology. All I can say is cut the girl a break. If you’ve read this far and need to move on now, you’ve cheated yourself because I’ve included some of Ms Gilberto’s “greatest hits” below. I hope you enjoy them as much I have and will continue to.